When Elvis Presley decided he wanted to buy a horse in 1966, he didn't want just any horse. "He wanted a Golden Palomino," Priscilla Presley remembers. "He would get up at 3:00 in the morning, go to certain farms and ranches and say, 'Do you have a Golden Palomino for sale?' People would say, 'That was Elvis Presley!'" Elvis's legendary love of horses drove him to find the golden palomino that would become his beloved companion, Rising Sun, and to fill Graceland's stables and Circle G Ranch with horses for family and friends to ride. 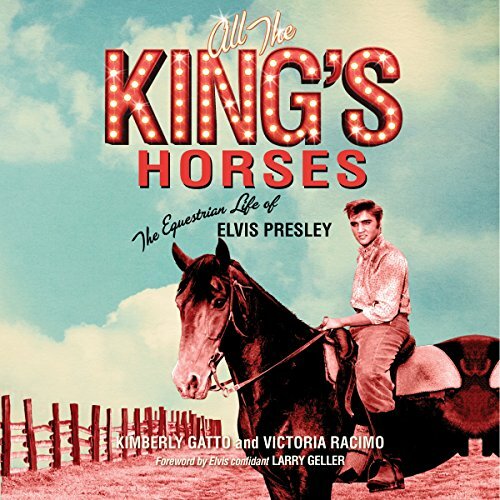 In the first-ever audiobook dedicated to Elvis's equestrian side, horse lovers Kimberly Gatto and Victoria Racimo share rare stories and interviews that shed light on the beautiful, quiet life the King lived when he was with his horses.